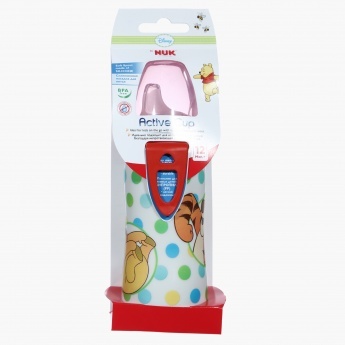 Ideal for keeping your hungry baby full, this feeding bottle is a must-have. 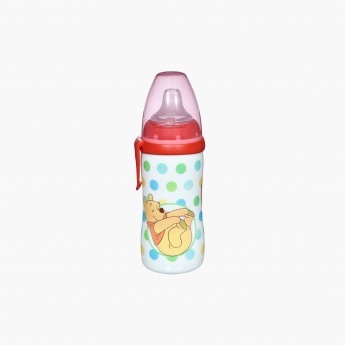 It features a print of Pooh and polka dots that look great. 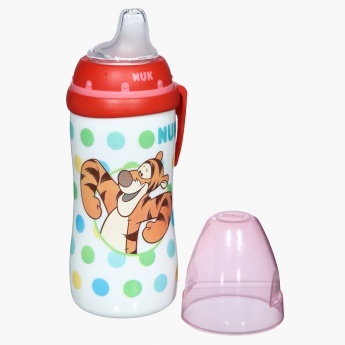 It has a lid and cap that keeps the contents protected.